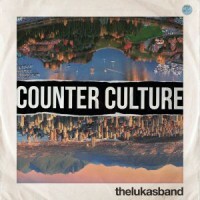 THE WORLD travelling The Lukas Band from Sydney, Australia have released the 'Counter Culture' album. Read a press release, "Recorded over the last three years in studios, churches, hotel rooms and plane trips all over the world, 'Counter Culture' is a challenge to all of us around the world that in the current state of our society we need to choose to live as Roman's 12:2 says: 'Do not to be conformed to the pattern of this world, but to be transformed by the renewing of your mind.' We feel it's a much needed reminder that we sensed is strongly on God's heart and mind, for us to stand out and be different from the world we see around us."